Mental or moral strength to venture, persevere, and withstand danger, fear or difficulty. 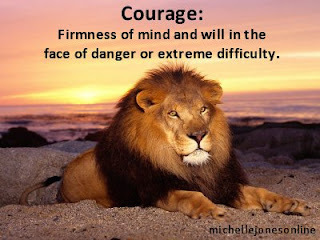 Firmness of mind and will in the face of danger or extreme difficulty. Have a fabulously fantastic FRIDAY!